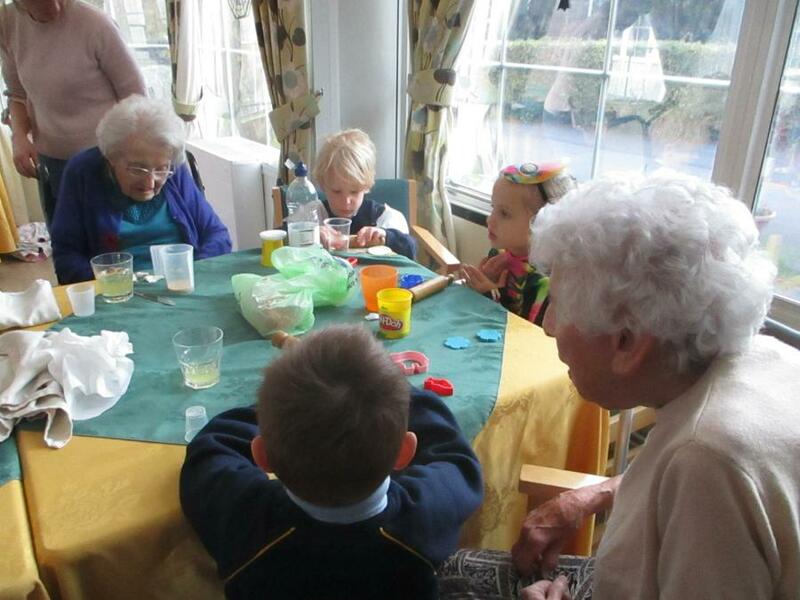 Every other Friday our Reception children have been visiting Kingswood Lodge Care Home. 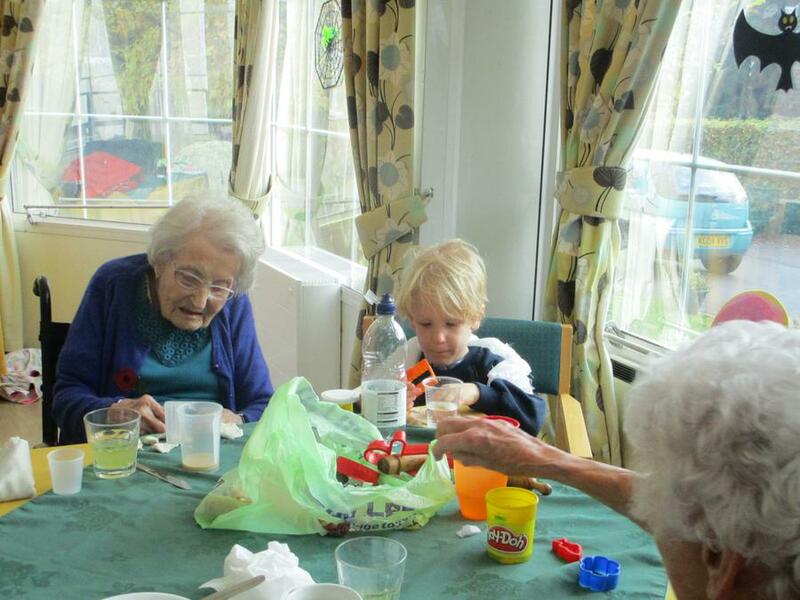 They share various activities with the residents including painting, puzzles, singing, play dough and other crafts. 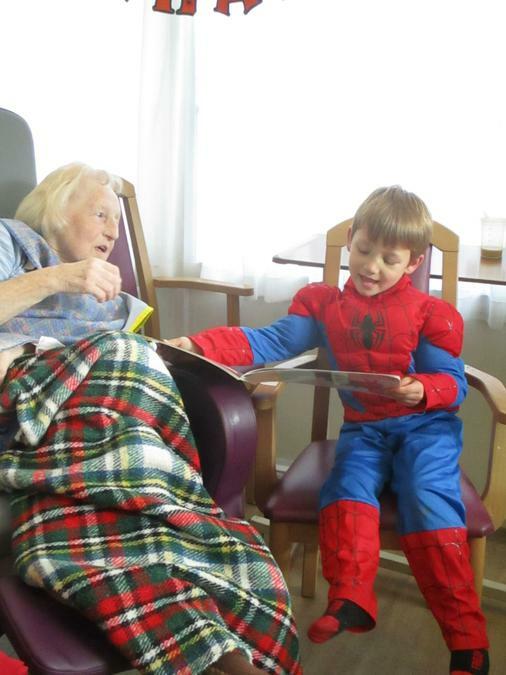 The residents look forward to their visits and are always pleased to see the children. Equally, the children are always eager to visit their ‘older friends’ and have formed some strong friendships with the residents, some of whom they talk about regularly. Not even the 30-minute walk across the fields can put them off! The children take their slippers with them and find their own way into the lounge where the residents sit after lunch.